Welcome to My Crafting Channel. Good morning everyone. Today I have a couple of cute Treat Boxes. Corbin told me a few weeks back that he thought he was too old to take treat boxes to school anymore. I was fine with that, I knew this day was going to come. Well I guess the closer it gets to the school party he decided he was not too old so he calls me last night after I was already laying in bed with craft room shut down and informs me that he does want to take some to school and that he needs them Monday. That meant they had to go out Priority Mail today. I told him I would try but he may not have them in time, but that he could take them later on in the week. So these are the ones I came up with. I needed boxes10 boys and 13 girls. The backs are the same. 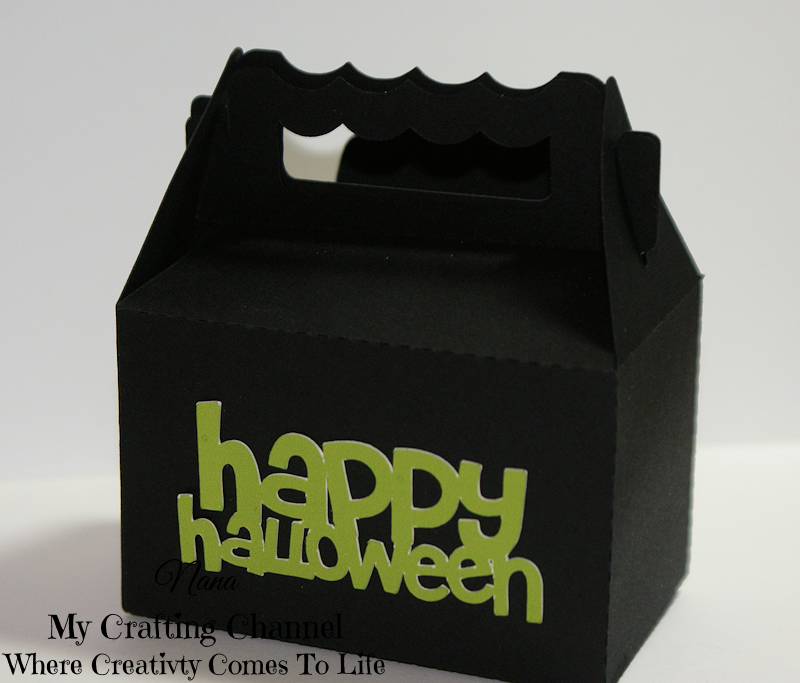 CARDZ TV 3-D DESIGNERS CHALLENGE #3 "HALLOWEEN TREAT HOLDER"
Tricks & Treats for this Dare! These are so super ADORABLE!!!!! Corbin and his class are going to LOVE them! These are completely adorable! Did you print the faces or paper piece them? They look great! I love the extra sentiment on the back of the box too. Hey! Me again. 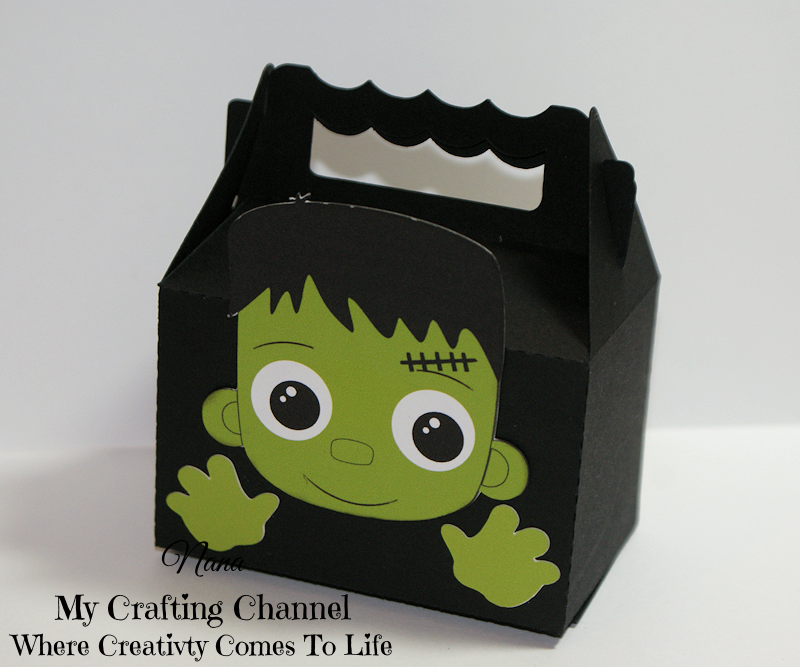 Thanks for linking up your fun Halloween Treat boxes at PDE Linky Party! Perfect for our theme this week! Oh my goodness - these are so stinking cute!!!! Love them! TFS and have a great weekend! Absolutely the cutest treats! 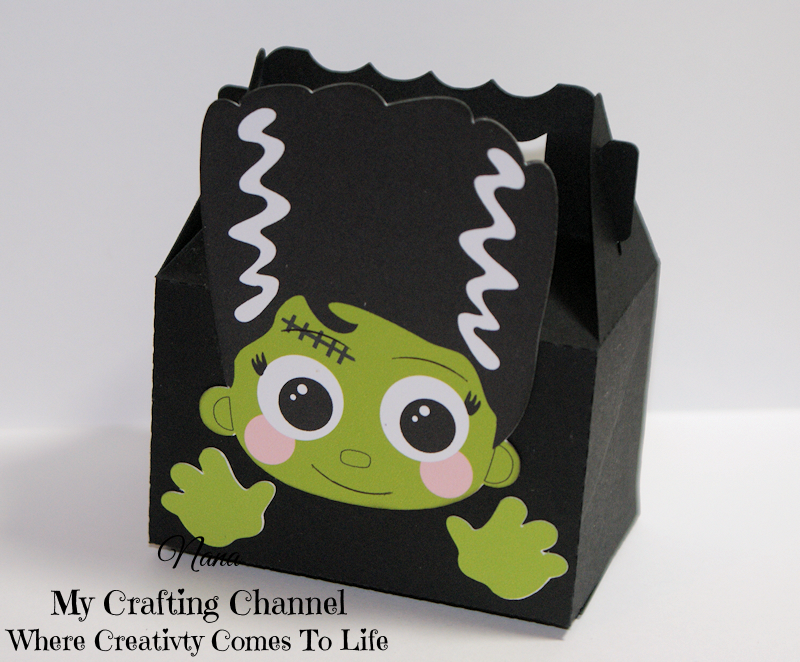 You are totally awesome for creating those for the kids, they will love them! Have a wonderful weekend! Adorable! I know you were just finishing them up while we were on the phone yesterday, well they turned out darling! Frankie and his Mrs. are so darn cute! I'm sure the kids will love them (at least you said the girls will). These treat boxes are so adorable!! The kids will love them!!! You are awesome Nana!!!! Have a great day. The kids and Corbin will love this! Too darn cute!! Nana, this is too cute to spook! I love it! and so will the kids! Thanks for joining us at Great Impressions! These are totally spook-tacular! I can't believe you made 23 in a single day! You're secret identity must be superwoman, right? 😉 Thank you so much for joining us at Emerald Creek Dares.